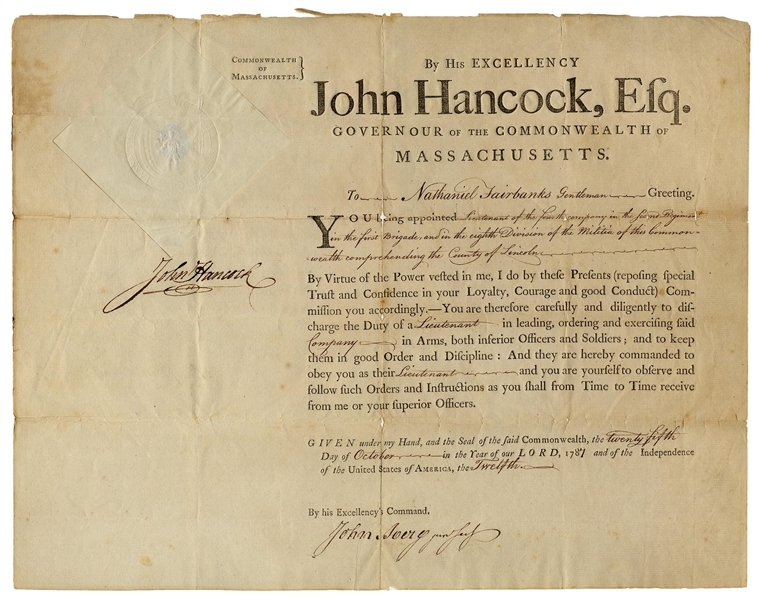 John Hancock military document signed as Governor of Massachusetts, appointing Nathaniel Fairbanks to Lieutenant. Dated 25 October 1787, with Hancock's large, bold signature at left under the Massachusetts seal, complete with his signature paraph. Countersigned by John Avery, Jr. as Secretary of the Commonwealth and on the verso by General Henry Dearborn, who presided over Fairbanks' declaration and oath in accepting the position. 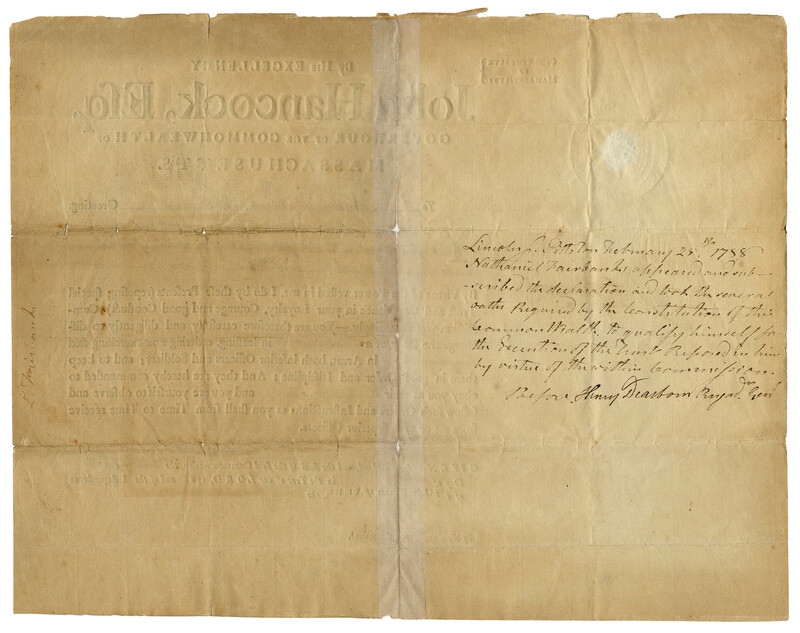 Document measures 16'' x 12.75''. Some chipping along edges, and small paper loss along folds, reinforced with archival tape on verso. 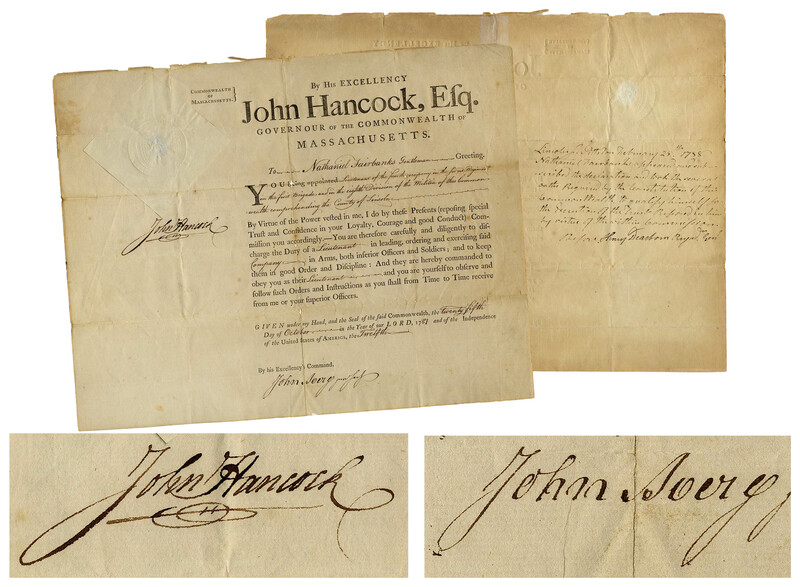 Overall very good condition with an unusually bold signature by Hancock.